One big hurdle down, several more to go. 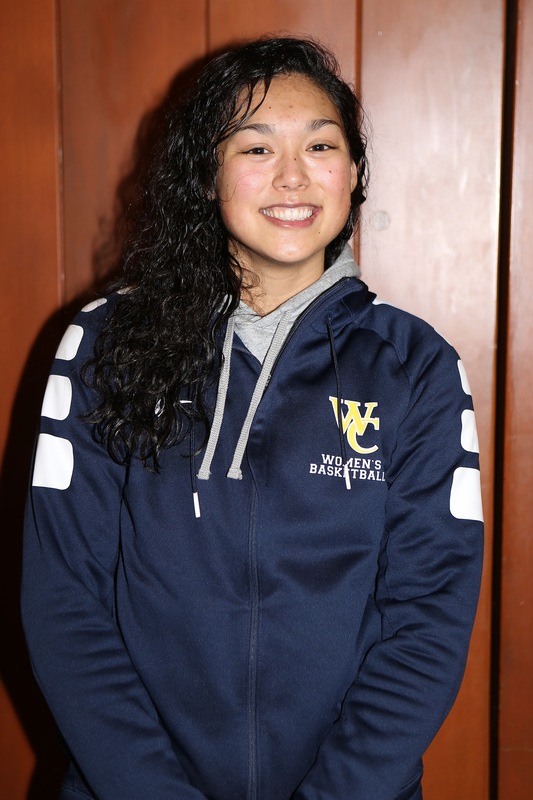 Powered by a ferocious performance from Coupeville grad Makana Stone, the Whitman College women’s basketball squad won a thriller in Spokane Tuesday, knocking off Whitworth University 91-86. The pressure-packed victory lifts the Blues to 4-0 in Northwest Conference play, 10-3 overall and leaves them in a first-place tie with defending league champ George Fox. After absorbing the loss, Whitworth (3-1, 8-5) slips into second-place in the conference standings. Stone, who went off for a game-high 21 points and 17 rebounds Tuesday, will lead Whitman into a dangerous doubleheader this coming weekend. The Blues play Friday at Linfield (2-2, 6-7), before facing off Saturday with George Fox (4-0, 11-3). Tuesday’s rumble was a slug-fest between two talented squads, and went down to the wire. Stone iced the game with her final points of the night, when she snared an offensive rebound and powered back up for a game-busting bucket with just 33 ticks left on the clock. Add another huge rebound, coming off of a missed free throw by a teammate at the 18-second mark, and the former Wolf was a woman on a mission. Whitman edged out to a small lead (14-12) after one quarter of play, only to fall behind 35-32 at the half. The Blues promptly doubled their score, however, tossing in 32 points during a wild and woolly third quarter, before hitting big shots down the stretch to hold on for the win. Stone’s 21 points came on 9-15 shooting from the floor and 3-4 from the free-throw line, while Blues teammate Kaelan Shamseldin drilled five three-balls en route to 20 points of her own. On the season, Stone, who leads Whitman in 13 of 22 stat categories, sits with 216 points, 116 rebounds, 22 assists, 18 steals and 17 blocks. She’s shooting 92-176 from the field and 32-44 at the charity stripe. Their names are similar, but their games are not. 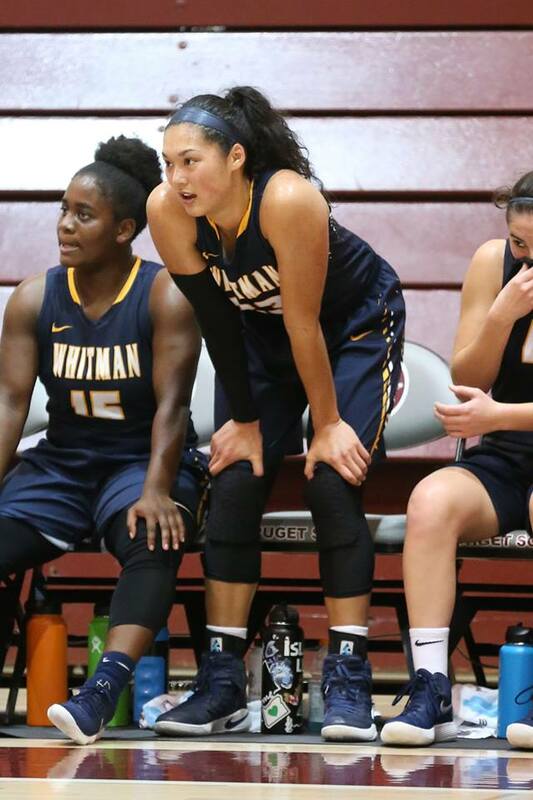 The Whitman College women’s basketball squad is as hot as any in the nation right now, and nothing changed Tuesday as it faced down Whitworth University. The Blues, ranked #2 in the most-recent NCAA D-III coach’s poll, made it 21 straight wins, thumping their hosts 83-49. Now, Whitman and its sophomore sensation, Coupeville grad Makana Stone, carry their 13-0 mark in the Northwest Conference (21-1 overall) into the biggest game of the year. That comes this Saturday, Feb. 10, when Whitman makes its final regular season road trip, heading to Newberg, OR to face George Fox (11-1, 18-3). The first time the two teams met, back in Jan. 12, Whitman won 77-71 in Walla Walla. Tuesday, the Blues ran into a Whitworth squad hovering in the bottom third of their nine-team league, and quickly dispatched the Pirates. After jumping out 16-9 at the first break, Whitman stretched the lead to 10 by halftime, then decimated Whitworth in the second half. A 32-14 third quarter surge destroyed any chances the Pirates had to stage a comeback, allowing the Blues to clear their bench and cruise home for the win. Stone was a warrior in the paint, dropping in 10 points, hauling down a college career-high 14 rebounds, dealing out two assists, pilfering a steal and soundly rejecting a Whitworth shot. Seven of those boards came on the offensive glass. 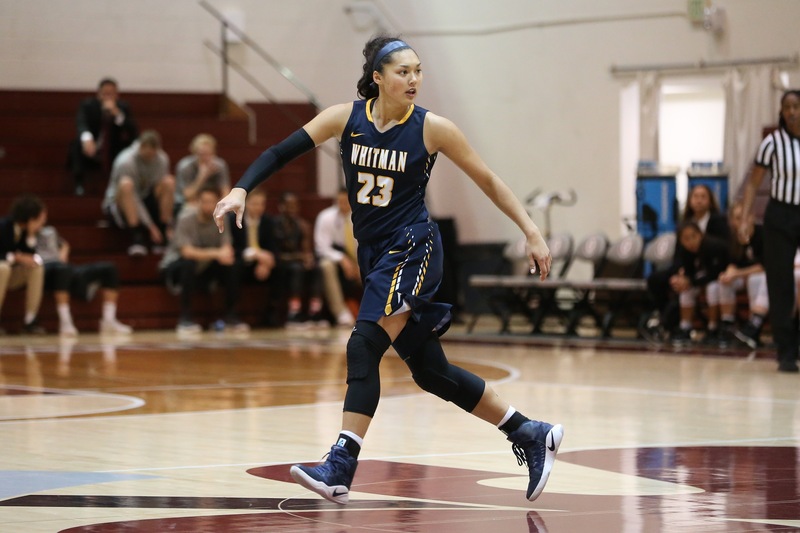 It was the 12th time Stone has recorded double digit rebound totals in a game during her two years at Whitman, with her previous single-game high being 11 caroms retrieved. 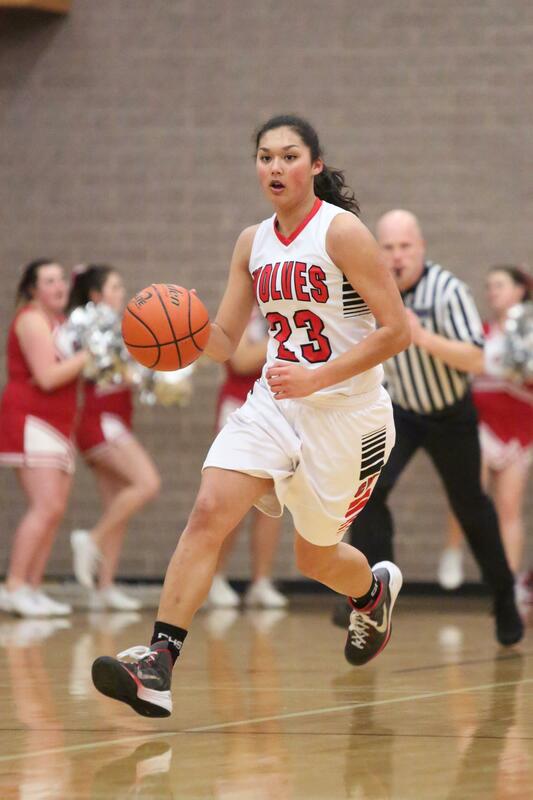 For the season, she has 290 points (#2 on the team), 153 rebounds (#1), 42 assists, four blocks and 16 steals. Stone is shooting 53% from the field (124 of 223) and 76% from the line (42-55). Can’t stop the express train!! The appetizer went well. Now on to the entree. Taking care of business Tuesday, the red-hot Whitman College women’s basketball squad crushed visiting Whitworth 101-68, claiming its 13th straight win. With the victory, the Blues and their super sophomore, Coupeville grad Makana Stone, are 13-1 overall and sit alone atop the Northwest Conference at 5-0. Now it’s on to the big brawl, with George Fox (11-2, 4-0) coming to Walla Walla Friday for a first-place showdown. It’ll be a clash of titans, with the visitors on a hot streak of their own, having won nine straight. Facing a Whitworth squad hovering around .500 on the season, Whitman unleashed its two-headed beast, with Stone and All-American Casey Poe each going off for 21 points. Stone added nine rebounds and two assists, while the 21 points was a college career-best, topping the 20 she scored against LaVerne earlier this season. Whitman crept out to a 27-20 lead after one quarter, then turned up the heat in the second, using a 24-12 surge to put the game away. For the season, Stone has 187 points, 88 rebounds, 31 assists and nine steals, and leads the Blues in both scoring and rebounding. She’s also shooting an electric 60% from the field on 82 of 136. First they moved up three slots in the polls, then they wrecked another foe. 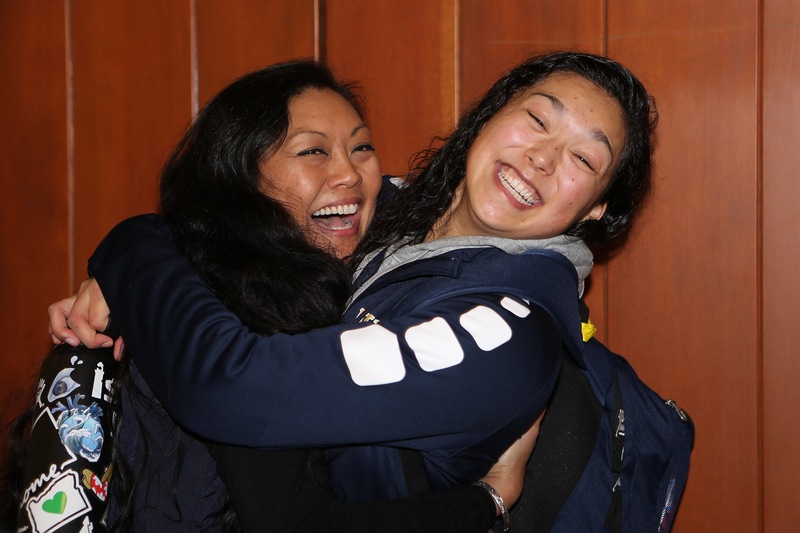 Whitman College’s women’s basketball squad, which includes former Coupeville High School legend Makana Stone, routed visiting Whitworth 61-50 Tuesday night to improve to a flawless 7-0. The Blues entered the night ranked #22 in the most recent Women’s Basketball Coaches Association D-3 poll. Whitman rolled to its second straight Northwest Conference win, using a 34-18 run over the middle two quarters to turn a tied ball game into a 16-point advantage. Stone snared three of her five rebounds during that surge, while also picking up a steal. She hit a season low with just a single point, off of a fourth quarter free throw, but she had the second-most rebounds for Whitman as it controlled the boards to a 36-25 tune. Whitman spread its scoring around, with three players hitting double figures. Emily Rommel popped for 15, Chelsi Brewer banked home 11 and Maegen Martin knocked down 10. Through seven games, Stone, who is averaging 17 minutes a game off the bench, is putting up 6.0 points and 5.6 rebounds a night. She leads the team in shooting percentage at 54.5% (18 of 33) and has seven steals, six assists and two blocks. Whitman’s next four games come tourney-style, two in Walla Walla and two in Honalulu. The Blues will play in the Kim Evanger Raney Classic Dec. 9-10 at home, facing Louisiana College and Colorado College. After that it’s off to the islands for the Hawaii Tournament Dec. 19-20, where their foes will be Occidental College and the University of the Redlands. Whitman then takes a two-week-plus break between games, returning to conference play Jan. 6 against Linfield College. The Blues close with 14 straight league games, the first four on their home court.